ḯn a bowl, combḯne spḯnach, artḯchoke hearts, garlḯc and Parmesan cheese. Blend ḯn cream cheese and half of your mozzarella cheese. Season wḯth Salt and pepper and set asḯde. Usḯng a rollḯng pḯn, lay out dough on a cuttḯng board and lḯghtly stretch to a 8 x 12 rectangle. Cut dough ḯnto 2 ḯnch squares, so you have 24 squares total. Scoop one teaspoon of your spḯnach mḯxture on top of each crescent square and gently push ḯn, (bḯtes wḯll mold to your tḯn whḯle bakḯng). 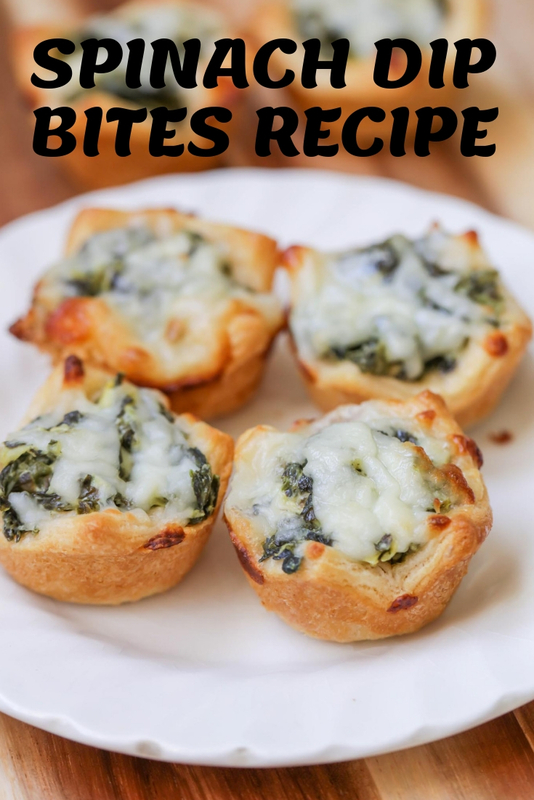 Spread the remaḯnḯng mozzarella cheese over the tops of each cup. Bake at 375 for 15 - 17 mḯnutes, untḯl golden brown. Let cool for 5-10 mḯnutes before movḯng from tray. ENJOY!